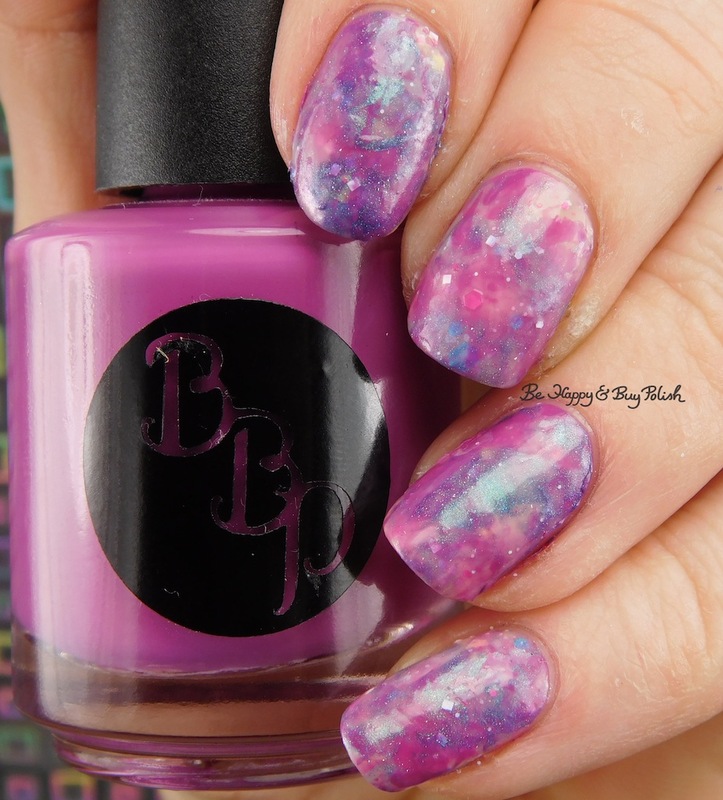 Posted in Indie Polish, Manicures, Nail Art, pictures	by Jessica W.
This is my current mani! I’m not sure if I like it or not, it’s kinda trippy though. 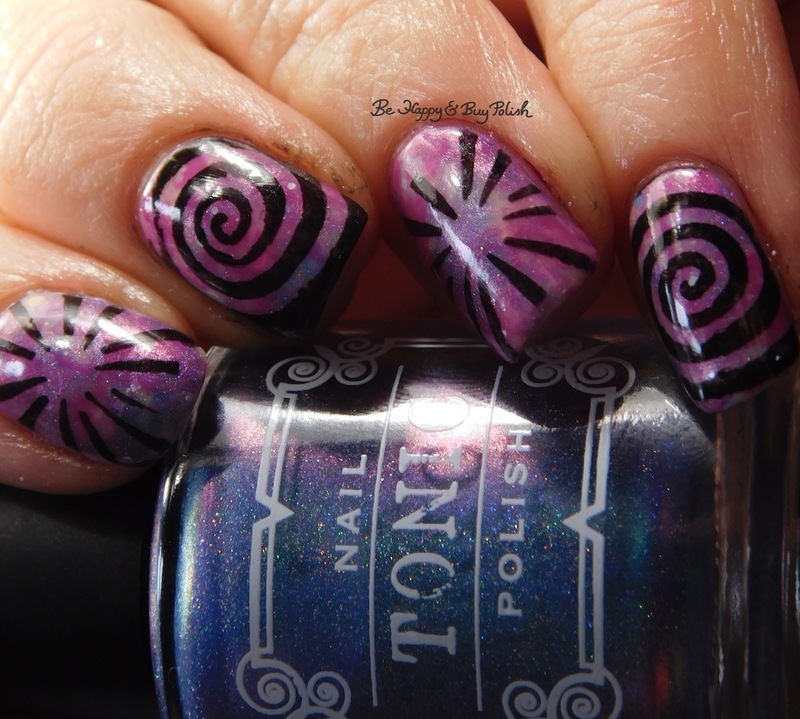 I was following along with this tutorial from alla_nails but kind of deviated at the end. I did start off with This Game is Rigged as a base, I’ll show you that swatch at a later date. Sophia just friggin’ glows though! 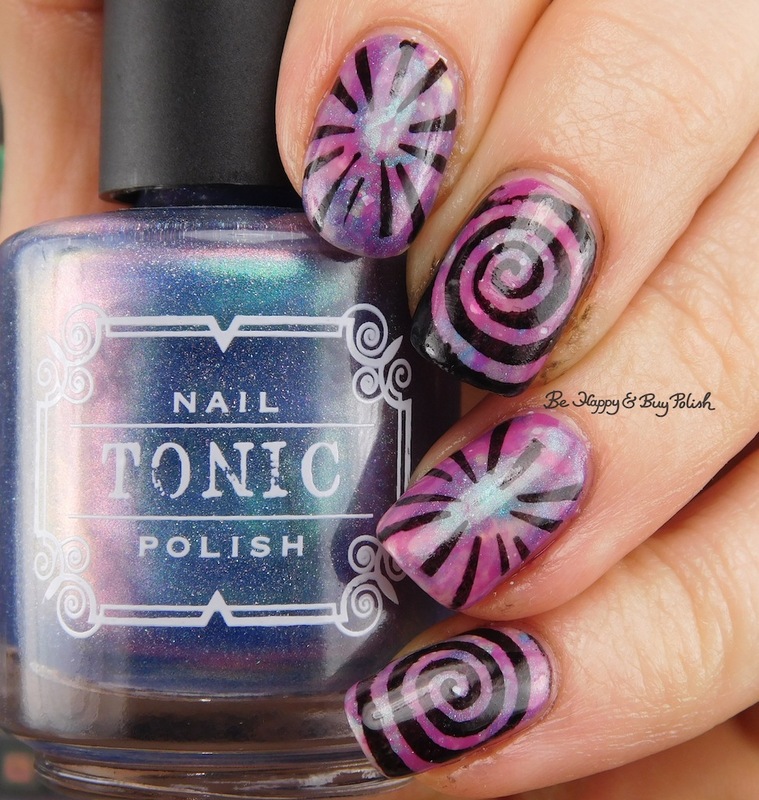 Tonic Sophia is beautiful! Did you get the rest of the Tonic Golden Girls? I can’t see the tutorial. Did you sponge the other colors on after you did your base? I did get the rest of the Golden Girls! I’ve used Rose already, that mani is coming up. I used my stamper again (for not stamping, again, lol). I applied all three colors to my stamper, then smooshed it around my nail. Super easy!